An Iranian official says the country has transferred the location of most of its government websites from foreign-based hosting agencies to new computer facilities inside the country to avert potential cyber attacks. The country’s deputy minister for communications and information technology, Ali Hakim Javadi, Reuters reports that more than 90 percent of all the Iranian government’s websites have had their hosting locations transferred inside the country. “Over 30 000 Iranian websites, including those of key institutions such as ministries, were hosted abroad, mainly in North America,” the Islamic Republic News Agency cited Ali Hakim Javadi, the Deputy Minister for Communications and Information Technology, as saying without specifying the countries involved. 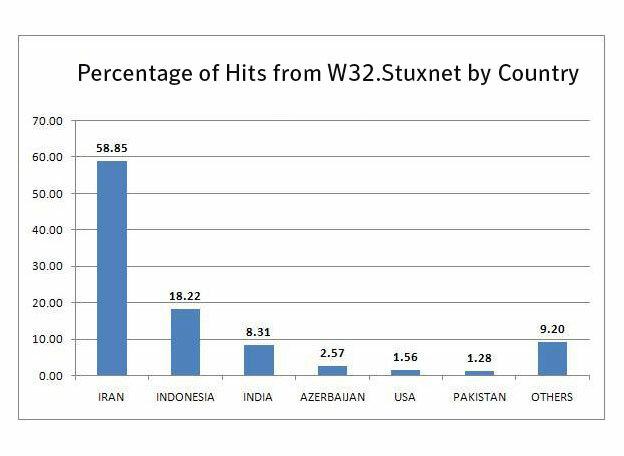 “The data was at risk of being accessed at any moment.”Iranian officials said last year that malicious software known as Stuxnet affected some of the country’s computer systems and several centrifuges used in its nuclear programme to enrich uranium. The country’s officials later said that they had regained control of the networks and foiled the cyberattacks by “enemies”. Control over the flow of information is a key issue for Iran home to most Internet users in the Middle East with more than 36 million people of the 75 million populace.In January, Iran launched a special police unit to combat "cyber crimes" especially those committed on social networking websites such as Facebook and Twitter which are popular among the opposition and dissidents. Tehran also blocks the majority of foreign news websites, accusing Western media of taking part in a plot by the United States, Israel and Britain-led Europe, against the Islamic Republic.And in early December, the Iranian authorities immediately blocked a website the United States launched and touted as its "virtual embassy" to reach out to the Iranians.